A lot of people in the furry community love anthro style artwork of animals. I for one LOVE drawing anthro's but what about Watership Down? I don't see a lot of anthro art for it but I love to draw it myself. It seems that a few people feel that the anthro style for WSD is unnecessary, but I think it can be really beautiful. 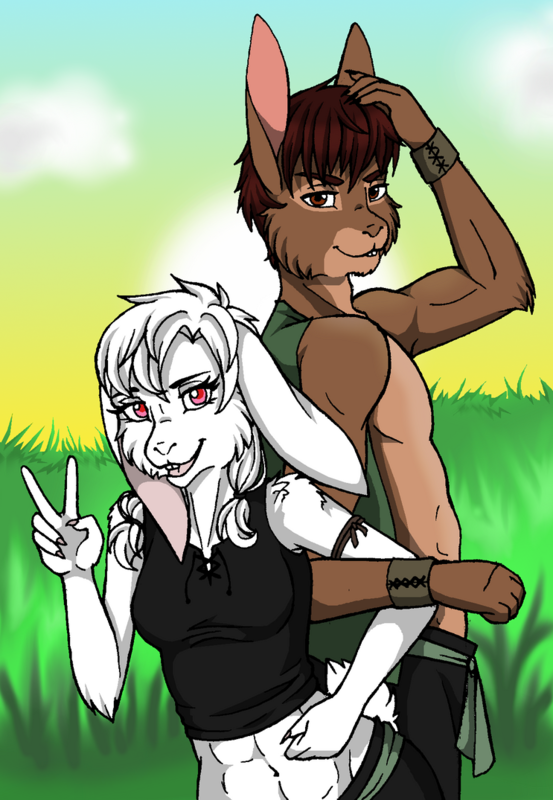 Below is a picture I did recently of my OC Snowberry with Bigwig. Both are in anthro style. Modeled more after the movie and book then the series. Do you all think this is something more people from Watership Down fandom should look into? Why or why not? I think the Watership Down community, usually just prefers to draw wild rabbits, as they are. I do not know what they think about it, but when they do, I love it. I really like your picture as well Acacia. Your art is very nice! And thank you for saying so. I am a huge fan of anthro designs. I can draw realistic but I think I can be more imaginative with anthro designs. Thanks you for the complement Chipster-roo! That is so sweet of you. I really love to see anthro art because I think it is a very imaginative way to showcase the characters. I prefer 4 legged animals, but birds are an acception. 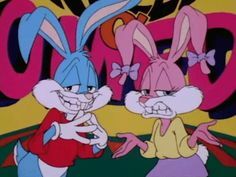 The sense that the movie did such a good job on making them move and look like real rabbits it's weird to me to imagine them having human bodies. I think probably the best anthro I've seen are the Beatrix Potter characters. All the characters seem well in portion on a real animal. An amazing artwork, you have there dear. : ) *Spin-hugs* I'm actually quite interested as well as to why there is a great lack of this type of artwork in the community as well, there a few good ones here and there. I love your drawing dear, keep up the impeccable work. Just to clarify, I do not draw that art. It was just a commission that I had sent a long time ago. And I love the furry.